Surely, many have heard Steve Jobs’ commencement address at Stanford in 2005 encouraging grads to “not settle.” Or JK Rowling’s speech to the Harvard Class of 2008 speaking of the benefits of failure. But, I’d wanted to share a graduation speech that was mentioned in the commencement address given at my graduation last week. I had not heard of it and, lo and behold, the is a wonderful 10 min excerpt created on YouTube that condensing the message into its most salient points. The entire address, found spoken here or as a transcript here, is worth a listen or read, in my humble opinion. Put simply, the entire speech struck me. Many of you may have probably already experienced what Wallace speaks of – the day in and day out of adulthood. While, surely, there have been months of my life that have been day in and day out, the vast majority of my “professional life” has been moving on from one exciting, seemingly insurmountable task to the next. The SATs. College. Finals. The MCAT. Medical School. The Boards. Third Year Rotations. The Match. Graduation. There has always been a dangling carrot in the not so distant future, ready for the taking. I’ve been extremely lucky. I think the fear of the mundane is one reason I chose medicine. I’ve been promised a career that is “ever changing” in which I will be a “life long learner.” Yet, still, I fear an ordinary existence. I am fiercely protective of my “extra-curricular” activities, namely running, as I see them as an insurance policy against a potentially humdrum daily life. With running, there will always be a new PR to chase, a fun race to run, a new path to try out. Running can turn any ordinary day into an extraordinary. I don’t aspire to notoriety or celebrity, but I do hope to be extraordinary and exceptional. At least, that is how I hope people will describe me one day. Yet, as a sat at graduation last week, looking at the platform of distinguished and exemplary physicians, I wondered what my exceptional is going to be. At times, I think I want to be like them – a well recognized physician. At other times, I crave being a wonderful wife and mom, raising little Noa, Cody, and Reeve (names subject to change) to extraordinary existences for themselves. 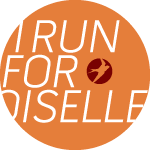 And, in the next minute, I ponder keeping running a big part of my life, like the ladies of Oiselle, and somehow intermixing this why my “professional” career. Entrepreneurship. Social Media. Family Life. There are many things I could imagine wanting to be great at. I guess in the terminology of “lean in,” I’m not always sure which way to lean. Do I need to know what this balance will be at 27 years old? Scarily, sometimes I think so. The “early bird catches the worm” is a cliche for a reason. But, maybe not. 27 years old, as I hear from others, might be on the younger side in the working world. What I do know is that I need to spend the next 4 years hopefully becoming an exceptional physician. I hope to keep running and maybe dabble in social media or writing, but know that my blinders need to be put on and the sole focus my main profession: medicine. I think the choices of my professional pie can, hopefully, be put off until my 30s, when I set up my “real career.” Surely, my tastes and preferences will change by then as I didn’t even like this whole running thing when I entered medical school. Not that that mystical stuff is necessarily true. The only thing that’s capital-T True is that you get to decide how you’re gonna try to see it. This, I submit, is the freedom of a real education, of learning how to be well-adjusted. You get to consciously decide what has meaning and what doesn’t. You get to decide what to worship. If there’s one thing I’ve learned from running, it’s that the mind dictates the experience – your race or your life. TELL ME: A FAVORITE SPEECH OR ADDRESS? And, if you’re a real graduation speech junkie, here is a list compiled by Business Insider on the top 23 commencement speeches ever given. I totally feel you on the carrot always being dangled in front of me in medicine. Sometimes I think it’s a good thing and it always keeps you reaching for a new goal, but on the flip side, I feel like it causes me to miss things because I am so focused on just reaching that carrot if you will. I also have no idea what I’m going to make of my professional life, but I think that’s totally okay! And, even when I decide at the end of residency (or whenever, during residency), I think that you can always reinvent yourself to do something new. And, if there is anything I learned from my dad (who became a commercial airline pilot at age 50 after flying for fun all his life), it’s that there is always time for a new career and a new passion! I also loved the Chris Sacca University of Minnesota Graduation speech. ALL of those business insider ones are really good though. Jon Stewart!? I wish he spoke at my graduation! I love commencement speeches. Lisa Kudrow spoke at my graduation and she was great. I really liked that David Foster Wallace video…just as applicable to me now in a mid-20s quarter-life crisis as it would have been just after graduation! I agree, a great graduation speech sticks with you and makes you think about the rest of the journey, not just the part you completed. I went through a really tough time right after graduation. I had completed all my steps – high school, college, land a job before graduation, etc. All of the sudden I didn’t know how or what to reach for. In a lot of ways, I still don’t know. In reading this, one thing really resonated with me – “I guess in the terminology of “lean in,” I’m not always sure which way to lean.” I completely agree, understand, and feel this. I feel like I should have more of a firm stance of where I’m “leaning” but I feel like it changes every day. Is that wrong? I don’t think so, but I do crave stability and understanding for my future self. Great post, Meggie! I’m sad I missed this speech/graduation! Like you, I also hope to be extraordinary and exceptional in some way (or many ways), and I think figuring out just how you fit into the world is part of the process. I also think that sometimes we are trying to hard to be extraordinary we don’t even realize we already are 🙂 I liked Steve Jobs’ speech a lot too. I’m new to your blog — hello! Thank you for sharing “This Is Water” — I ended up watching the entire thing on YouTube just now. Wow. So honest. 4 years out of school now and this really resonates with me. Such a tragedy that DFW is no longer with us.